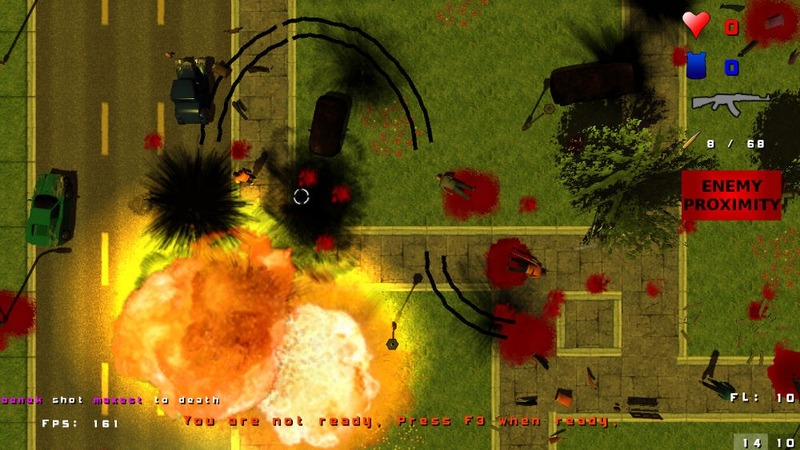 GTA2 inspired 'Greedy Car Thieves' gets release date; Linux beta - OMG! Ubuntu! Running amok in Ubuntu need no longer be confined to running risky Terminal commands or toying with your GRUB menu with the beta release of ‘Greedy Car Thieves’ – an upcoming action game inspired by the pre-millennial action smash GTA2. With a top-down game style; users are free to create mayhem throughout the paradise city in a multiplayer melee – with a variety of game maps and play-modes� available, with ‘Free for all’, ‘Deathmatch’ and ‘Capture the flag’ but three. A single player storyline is also planned. “We spent many, many hours playing the multiplayer mode (via LAN) of GTA2 and had a huge amount of fun. Unfortunately, the networking in GTA2 is really screwed up (due to the very slow and deprecated DirectPlay engine). So when can you get it? The developers have earmarked July 2011 as the release date proper, although a development beta is currently available for download. The multiplayer version of the game is to be released for free, with the the in-game city enriched with advertising to pay for development costs. The� expected cost for the single player game (which will also come with the free multiplayer version) is targeted at the insanely low $5/�5/�5 (respectively). Despite having not played GTA2 for a very long time I have to say that the developers of Greedy Car Thieves have not only evoked what made GTA2 so awesome to play, but have also bettered it in so many areas – from the obvious, such as graphics and game physics, to simple additions such as better power ups and better aiming/targeting. Whilst Greedy Car Thieves is under development a free multiplayer beta is available for download at the link below.